I knew at that moment, with clarity, that if I gave in to panic I could drown. It would be that simple – a loss of control, and I would drown in this tight dim rocky chamber. We had left details of our route with friends, but, against the usual walking protocol, had altered our proposed route to enter the gorge instead. We would have been engulfed by this location, so in place as to have become invisible. After a period of loss, and much change, Saskia Beudel began walking. Within eighteen months she had walked in the Snowy Mountains, twice along the south-west coast of Tasmania, the MacDonnell Ranges west of Alice Springs, the Arnhem Land plateau in Kakadu, the Wollemi National Park in New South Wales, and in Ladakh in the Himalayas. But she kept returning to the gorges of central Australia. The book that emerged tells stories from Australia’s desert centre, examines the entanglement of Aboriginal and European cultures, remembers POW camps in Indonesia during World War II, and relives childhood epiphanies in a haunting collection of landscapes while tracing family secrets across the globe. 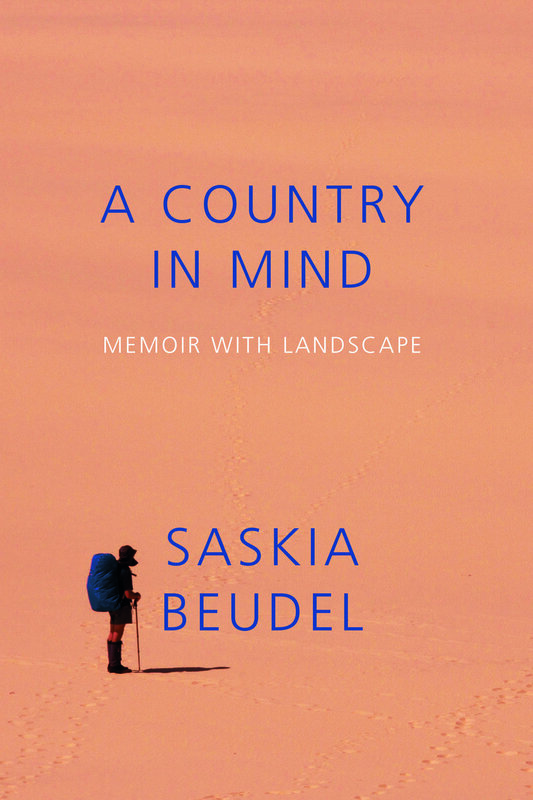 Saskia Beudel powerfully captures the enigmas of displacement, belonging and the intricacies, often strikingly at odds with one another, of Aboriginal and settler understandings of the desert environment. A Country in Mind was shortlisted for the Adelaide Festival Literary Awards.